There are certain sounds you equate with specific habitats and seasons. 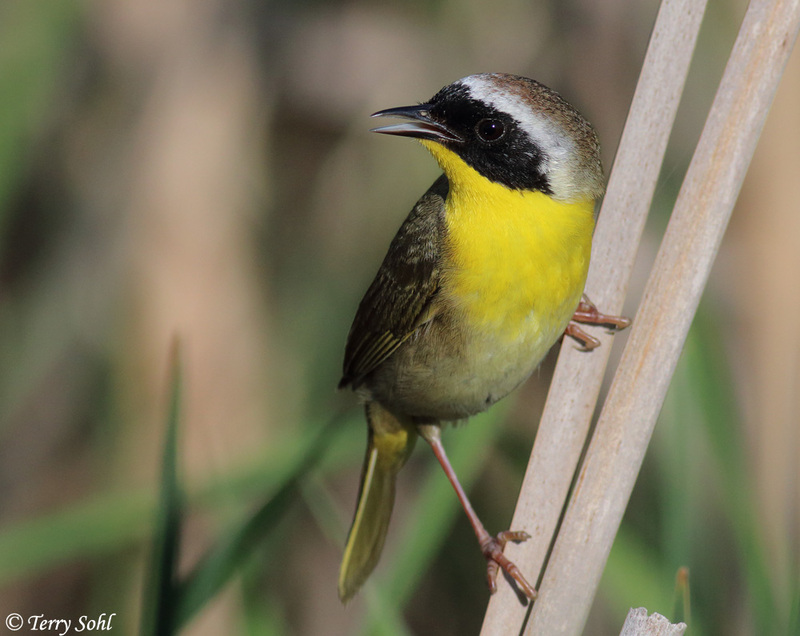 In spring and summer in South Dakota, if you're around cattail wetlands, or often in other areas with brushy vegetative cover, one of the sounds you typically hear is the witchy-witchy-witchy of a Common Yellowthroat. They have a reputation as skulkers, birds that stay in cover and are sometimes difficult to see. That may be true at times, but you do often see the males singing from rather prominent and easily seen perches. This was taken near Corson in South Dakota.